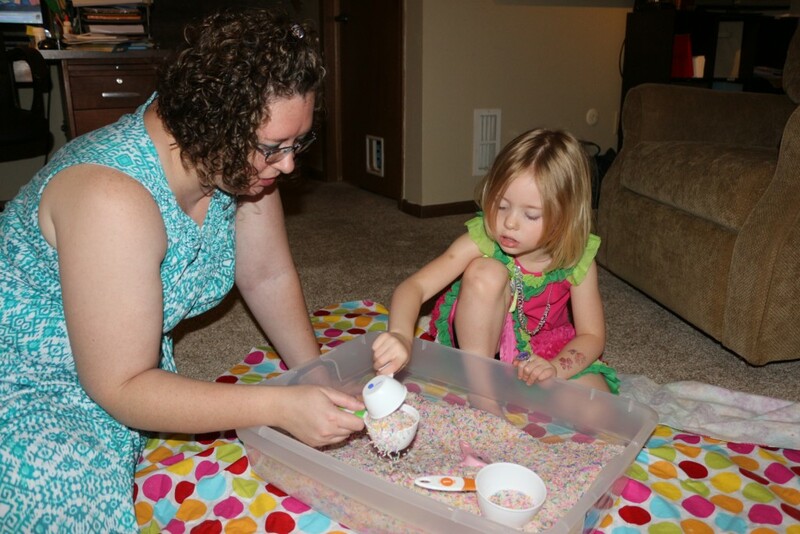 You are here: Home / Group Lessons / Group Lesson for June: Rice Sensory Bin & Father’s Day Crafts! 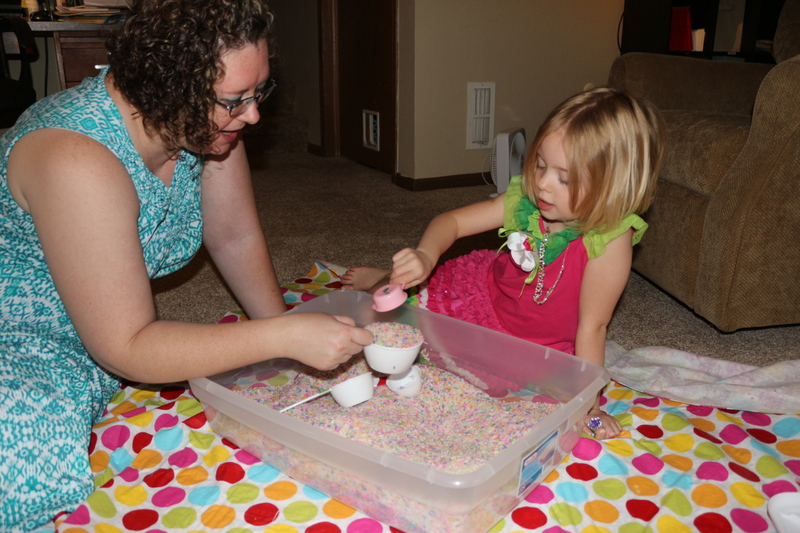 Group Lesson for June: Rice Sensory Bin & Father’s Day Crafts! 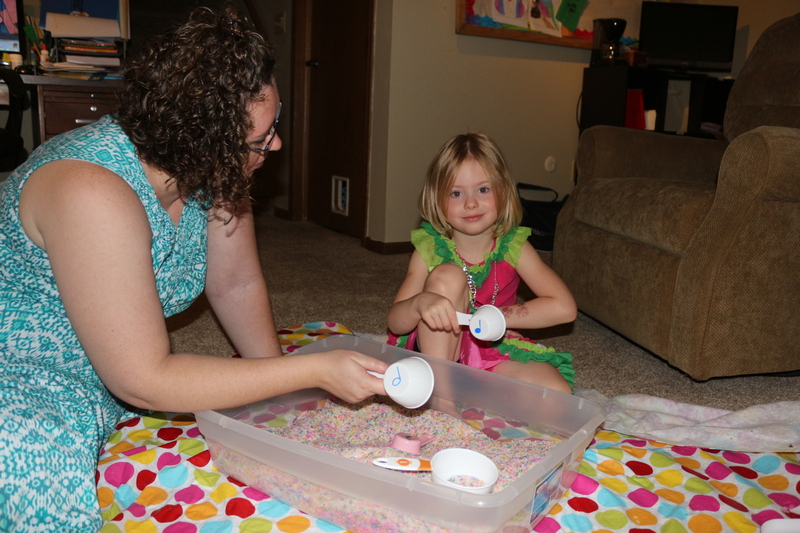 I started my group lessons Sunday afternoon with the really fun & popular RICE BIN! This group lesson was a breeze to plan, and all the supplies will have amazon links. The best part for you, is that there is still plenty of time to have this group yourself before Father’s Day, and you may have some of the supplies already! Any dark colored Sharpie/Permanent Marker. I also re-used my plastic under bed storage box/container. I will also tell you that the last time I did the rice bin group lesson, my big was WAY too big and heavy. The smaller bin worked great and is a lot easier to pick up and move around. BE SURE TO PLACE THE RICE BIN ON A PLASTIC TABLECLOTH TO MAKE CLEANUP A BREEZE! I love it when they start guessing correctly and have made the connection! Then we worked on the Father’s Day Card for our Dads…. In Microsoft word I found a card template and wrote “BEST” (then 5 lines) and “EVER” underneath that, or “In The WORLD” on others. 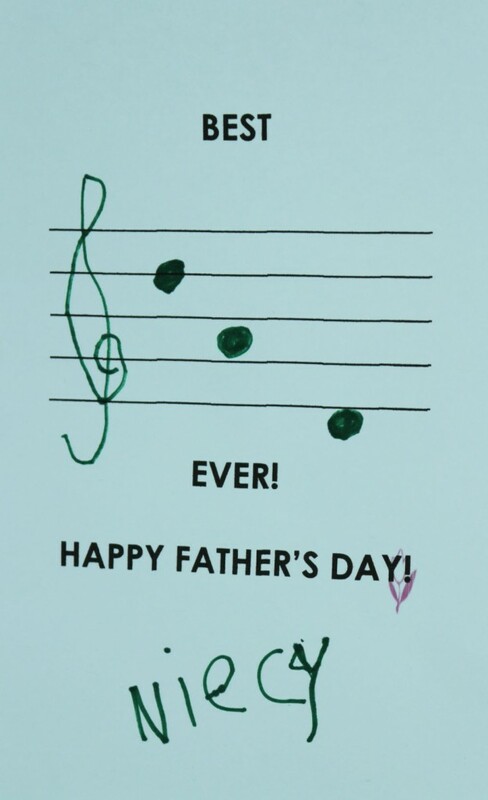 As well as “HAPPY FATHER’S DAY!” on the last line. On whiteboards, we practiced drawing treble clefs (i stuck to treble clef since i had a combination of Violn & Piano students in each group) and the notes D-A-D in various places. Then I handed out the pre-printed Staff Cards and had each child come to me and I talked them through their project. 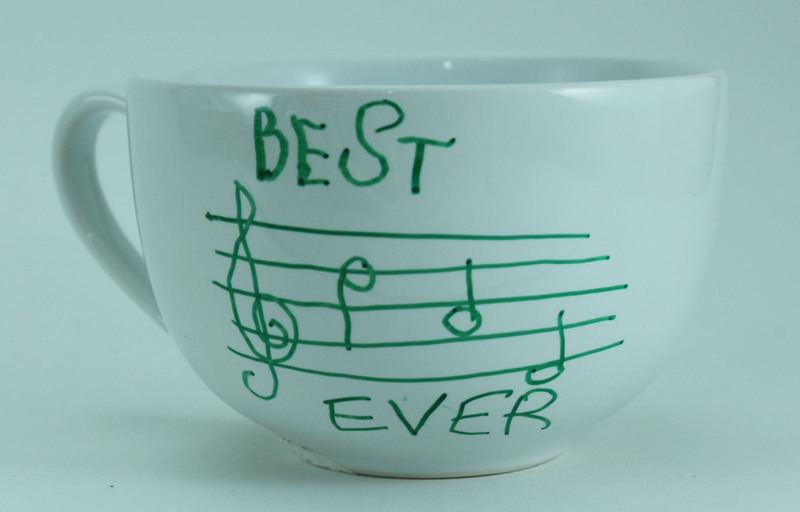 For my Ages 7 and up group we played in the rice bin a bit, then we worked on our whiteboards making our own staff and practicing treble clef and D-A-D because we made our Dad’s a really cool CUP for father’s day. 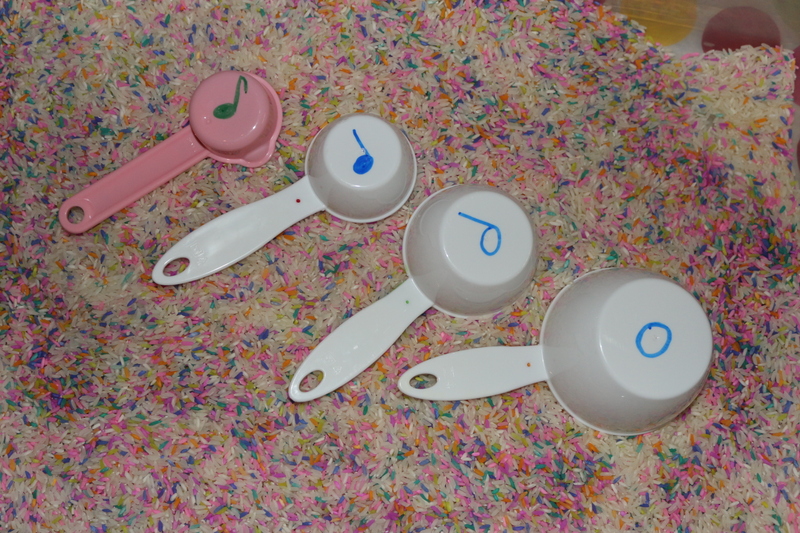 Each Child chose a sharpie or two and carefully drew on everything…staff..treble clef and Best Ever! 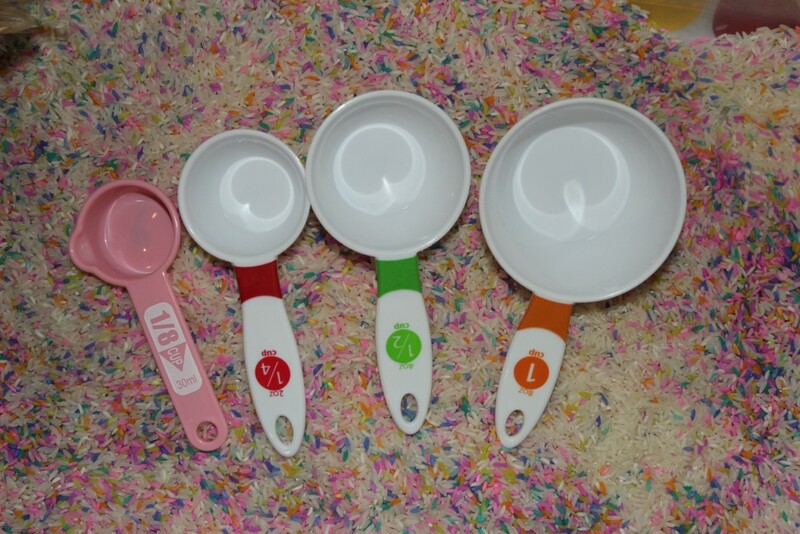 The Mom’s picking them up were reminded to bake the cups at 150 degrees for 1 hour to “set” the sharpie. I also had the kids write THANKS DAD or I LOVE YOU on the back and their name and the year.